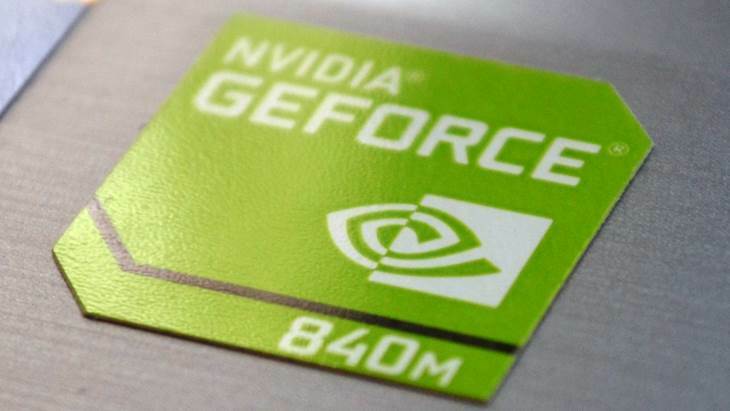 The Nvidia GeForce GT 840M is a lower-mid-range dedicated video card for laptops. Nvidia says it isn’t designed for hard-core games, but rather for “streaming HD videos, surfing the web, and enjoying entry-level gaming”. Our benchmark tests clearly confirm that statement. For this review, we used an Acer Aspire E5-771G series laptop with the 840M, Intel Core i5-5200U mid-tier dual-core processor, 8GB of RAM, and Windows 8.1 OS with the latest GeForce version 347.88 graphics drivers installed. Please keep in mind that the video card is oftentimes paired with faster Intel Core i7 dual and quad core processors found in higher-performance laptops, resulting in smoother gaming than presented here. In addition, different laptops, their cooling system designs, and different BIOS settings can affect gaming performance of the GPU. The Acer E5 we tested appears to deliver somewhat lower results than other systems with the same core specs. To avoid slowdowns due to software-based gameplay recording, we used an external video capture device. If League of Legends in on the top of your game priority list, the Nvidia GeForce GT 840M is an excellent solution for you. It can run the most popular MMORPG title at maximal settings and 1080p resolution without any stutter. Frame rates easily stick to 60 frames-per-second mark. DOTA 2 MMORPG doesn’t run as smooth as LoL at maxed-out settings (including anti-aliasing turned on), but gameplay is still very fluid, with frame rates gravitating toward 40 fps. You can always dial down graphics detail settings, like turning AA off and setting quality on medium, to hit that 60 fps sweet spot. Minecraft on full “Fancy” settings runs at about 60 fps. Obviously, the 840M is a no-brainer solution for Minecraft players. Counter Strike: Global Offensive on maximal settings and Full HD resolution is able to score up to around 45 frames per second during gameplay. A slight tweak – reducing anti-aliasing from 8x to 2x, will boost frame rates to about 60 fps. Although it belongs to the same first person shooter genre, Battlefield 4 isn’t an as easy task for the GT 840M as Counter Strike. The game itself automatically estimated Medium settings are optimal for the reviewed GPU. The result is a bit choppy experience with frame rates between 25 and 30 fps. Setting graphics quality to Low will smooth out gameplay, delivering 35-40 fps. Call of Duty: Advanced Warfare is an even more demanding title. On low settings and Full HD resolution, you can get a 25 fps gameplay at best. The only way to visibly improve smoothness is to decrease rendering resolution from 1920×1080 to 1216×684 pixels or lower and get 30 fps or more. The Elder Scrolls V: Skyrim runs at around 25 fps in open-air scenes on game’s recommended Medium settings. Setting quality to Low will actually result in somewhat smoother and generally better gaming experience, with frame rates of around 30 fps outdoors (and more than 40 fps indoors). FIFA 2015 soccer players can run the game on Full HD and maximal quality at around 40 frames per second, except in closer camera views when they drop to around 20. If needed, there’s a great headroom for a better smoothness by lowering rendering, anti aliasing, and resolution settings. 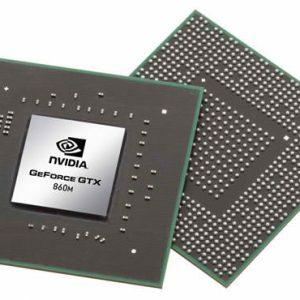 The Nvidia GeForce GT 840M crunches Full HD and Ultra HD (4K) video playback with ease, freeing up the main processor for other tasks. However, high-def video play isn’t an issue nowadays even if you have just an integrated graphics processor from 2014/2015. CPU usage spikes due to playbacks of a YouTube video in 1080p (FHD) and 2160p (4K) via Internet Explorer were marginal, in range of about 2-3 percent. Operating temperatures of GPUs may vary depending on thermal design of each laptop. The GT 840M in our review unit, which has only one fan for both CPU and GPU and a relatively small ventilation hole, was quite cool during heavy stress. While GPU utilization was mostly around 99% during half-hour long Battlefield gaming, temperature never reached above 48 degrees Celsius. The Nvidia GeForce GT 840M works as advertised. It handles “entry-level gaming” and HD videos well. 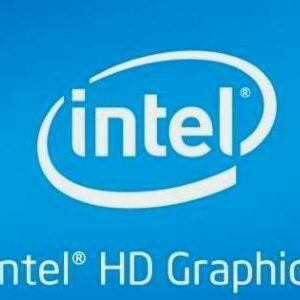 The GPU is a good solution for those who don’t want to shell too much money on a new laptop but want to avoid slower performance of the popular integrated graphics processors, such as the Intel HD 5500. As same as any other dedicated graphics card, the 840M runs hotter than integrated ones and more processing power means shorter battery life. Thankfully, modern laptops with dedicated video cards utilize GPU switching technology – Nvidia Optimus in this case, so the dedicated ones are active only when needed. During gaming, for instance. If you however don’t care too much about money, power autonomy, and heat and rather want better performance, the GTX GeForce series such as the 850M or above are the way to go. 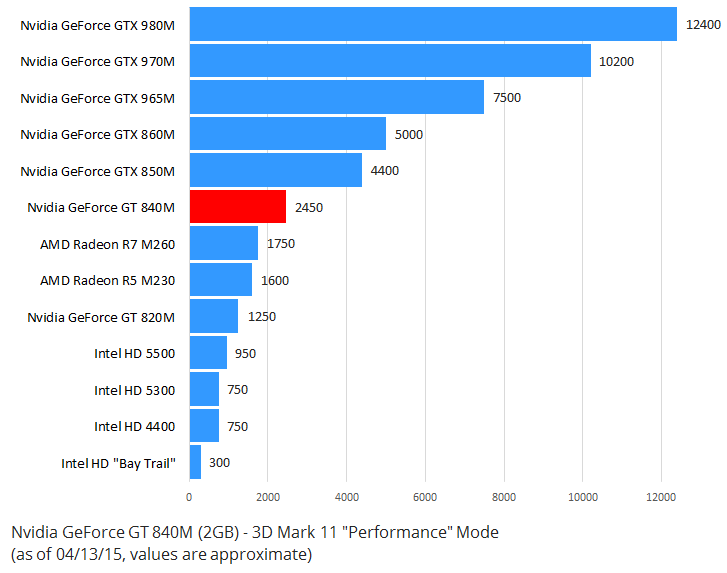 Especially, the GTX 860M with probably the best price / performance / power consumption ratio to date. You can check out laptops with the 840M here and with the similar but newer 940M here. March of 2019 – With my Asus laptop with nVidia GeForce 840M 2GB GPU and 17.3″ 1600 x 900 screen and i7-4700HQ CPU, I am able to run Overwatch and PUBG at around 48 FPS with “normal” (or “medium”) graphics / eye-candy, in fairly busy fight scenes. What external video capture card did you use to record your gameplay? It’s the Blackmagic Design Intensity Shuttle. For me on 840M Skyrim recommends high, not medium… and GeForce Experience recommends ultra… wtf? Any idea about the difference between the NVIDIA GeForce 940M graphics card and the Nvidia GeForce GT 840M? I have no idea and would appreciate you advice. I am buying a computer for my son who is studying engineering in College. He needs certain things for CAD, etc. They are basically the same video cards. The only difference is a bit higher clock speed of the 940M – 1,072 versus 1,029 MHz. That results in about %5 percent better performance of the 940M over the 840M.